We hope you enjoyed your summer and are ready for Fall 2017 and the many holidays ahead of us. The COA monthly newsletter is an opportunity to provide you updates and also showcase the great work of our Chief Officers. We are always looking for interesting stories or information that you would like to see posted. Send us your feedback and please let us know how we can assist. Thank you for your support! Each quarter the COA will post a book based on input from our members. Please send us your favorites and we will include them in the list. 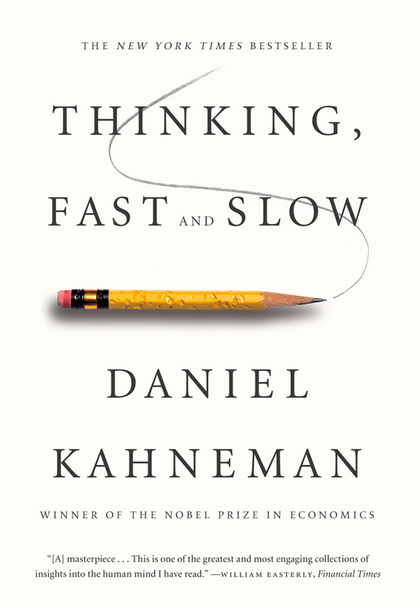 In the international bestseller, Thinking, Fast and Slow, Daniel Kahneman, the renowned psychologist and winner of the Nobel Prize in Economics, takes us on a groundbreaking tour of the mind and explains the two systems that drive the way we think. System 1 is fast, intuitive, and emotional; System 2 is slower, more deliberate, and more logical. The impact of overconfidence on corporate strategies, the difficulties of predicting what will make us happy in the future, the profound effect of cognitive biases on everything from playing the stock market to planning our next vacation—each of these can be understood only by knowing how the two systems shape our judgments and decisions. 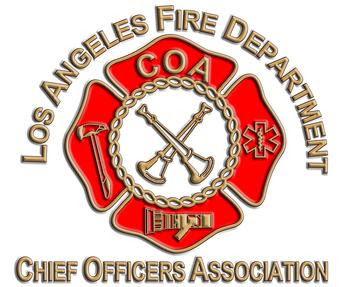 LAFD Women’s Breakfast – On September 15, 2017 the COA was a co-sponsor of the LAFD Women’s Breakfast. 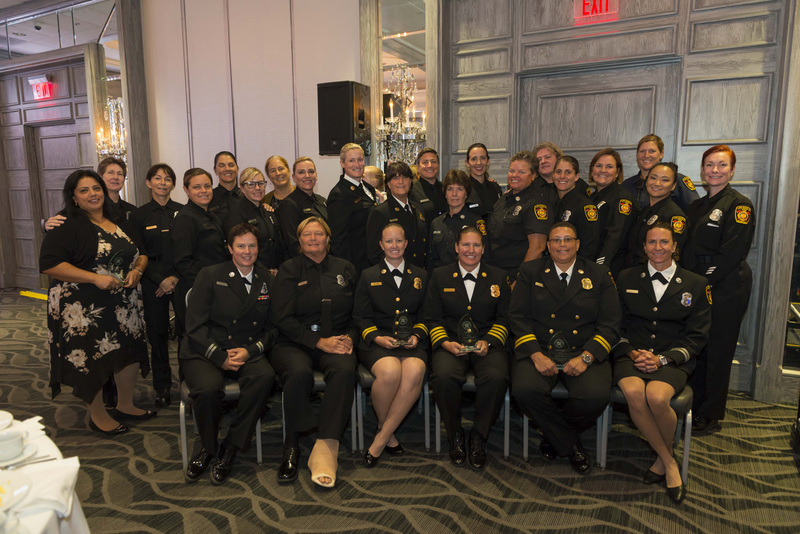 Among the many recipients and attendees, we also celebrated the accomplishments of Fire Marshal & Deputy Chief Kristin Crowley, Battalion Chief Nikki Brodowy, Battalion Chief & COA Executive Board Member Kady Kepner , Battalion Chief Linda Cessor, Battalion Chief Kris Larson. We were proud to be in attendance and celebrate their many accomplishments. COA Elections – Due to the current election cycle of board members – there are no seats up for re-elections in 2017, therefore we will not have COA elections this year. Next nominations and elections will be October/November 2018. Death Notice: John “Jack” Gamrat – On September 9, 2017, we lost one of our own. Jack Gamrat passed away after battling an illness. He served for over 34 years, appointed in 1965 and retired in 1999, he had a huge impact on many of our current and past leaders. He will be sorely missed. Leadership Symposium – Our first leadership symposium was well attended and our keynote speaker Austin Beutner delivered a great presentation and an engaging discussion. It was then followed by a facilitated round-table leadership discussion. We especially want to thank the Fire Chief and his staff for their support and attendance. We are planning our next event in December 2017. Retroactive Pay MOU 22 – Active duty COA members recently received their retro checks. The department is researching a potential issue with over-payments. We have asked the department for a full explanation so that we can review and determine next steps. *Please ensure that your payroll/salary schedule, bonuses and timekeeping is accurate. 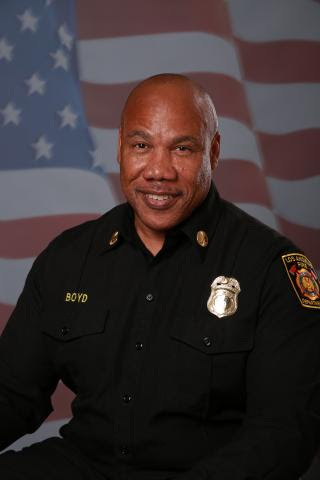 The Controller plans to conduct a full payroll audit of all members. Executive Development Fund – The 2016-2019 MOU 22 provides Chief Officers with paid tuition, travel, and lodging for executive education opportunities. Please login to the COA Website for more details. Wharton School of Business at U. Penn. On September 18, 2017, 70 members of CATF-1 returned home after a 3 week deployment to the Gulf Sates of Texas and Florida. 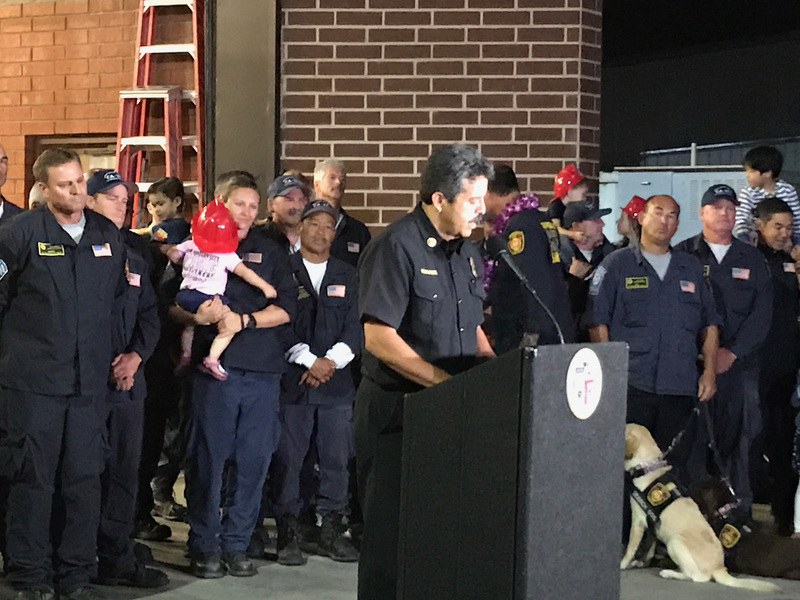 That same day 26 additional LAFD CATF-1 members were deployed from Los Angeles to continue the rescue efforts and support. CATF-1 was initially activated and deployed to Hurricane Harvey in Texas on August 26. 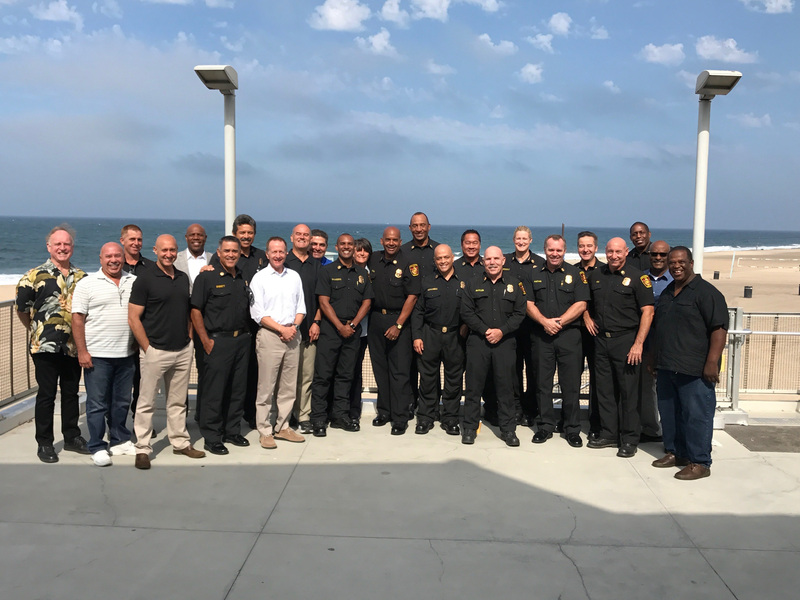 After a long and exhaustive mission in Texas, the men and women of LAFD CATF-1 were then deployed to Florida for Hurricane Irma. After returning home and with 48 hours of rest, some of our members were activated and deployed to Hurricane Maria. We also had several retired members serving on the FEMA Incident Support Teams. Below is an article that showcases the great work of our team. La Tuna Fire – On Friday September 1, 2017, a fast moving brush fire occurred in Battalion 12. 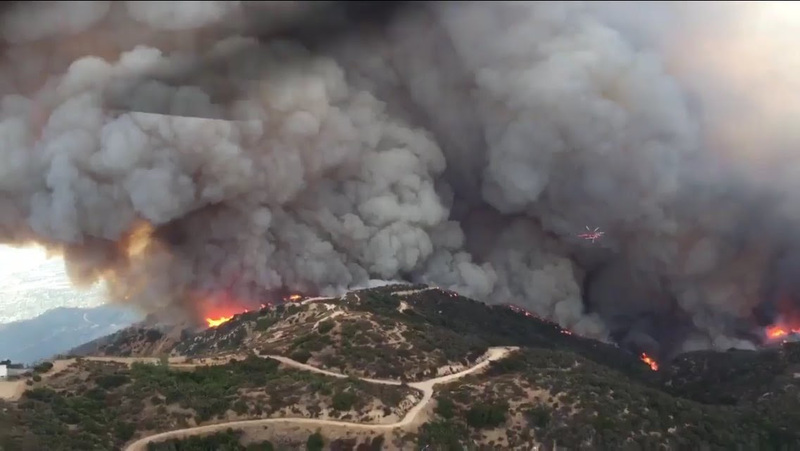 The fire burned over 7,000 acres and 4 buildings were destroyed. It was managed in Unified Command with LFD, BRK, GLN, LAC. Your COA members were proud to be part of the Unified Command and General Staff including many operational assignments. 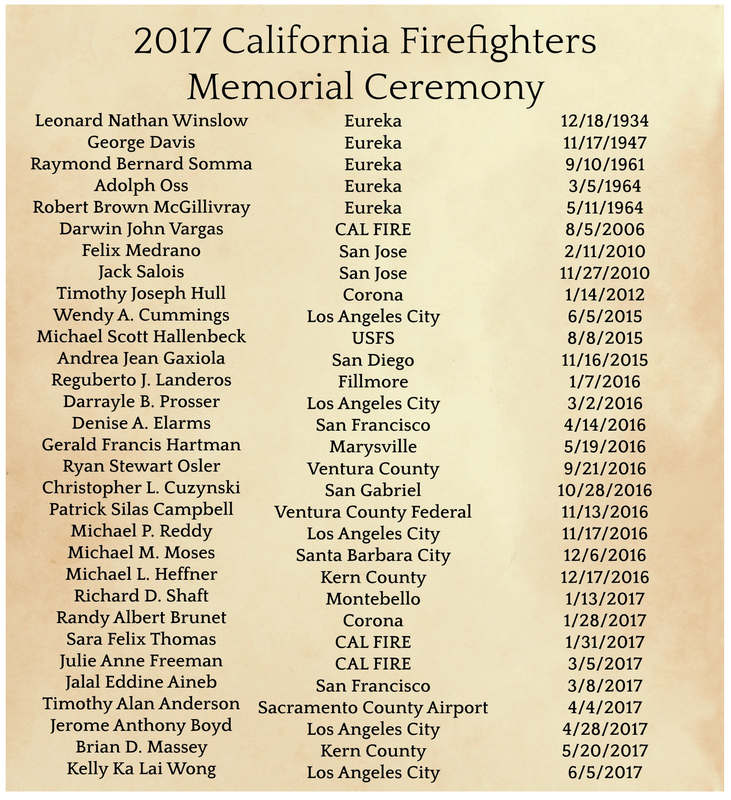 The 2017 California Firefighters Memorial Ceremony honored the life and service of Battalion Chief Jerome Boyd, Captain Darrayle Prosser, Captain/Firefighter/Paramedic Mike Reddy, Firefighter/Paramedic Wendy Cummings, and Firefighter Kelly Wong. 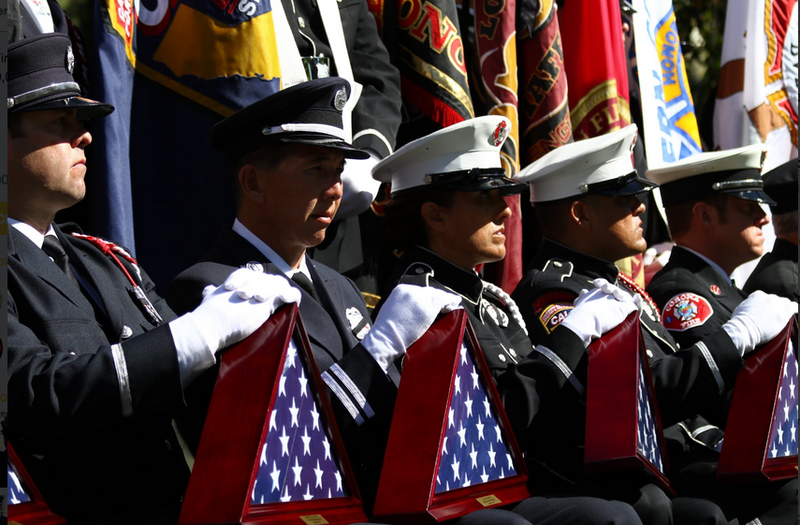 Chief Armando Hogan represented the COA in Sacramento and spent quality time with the families at this solemn yet prideful ceremony. 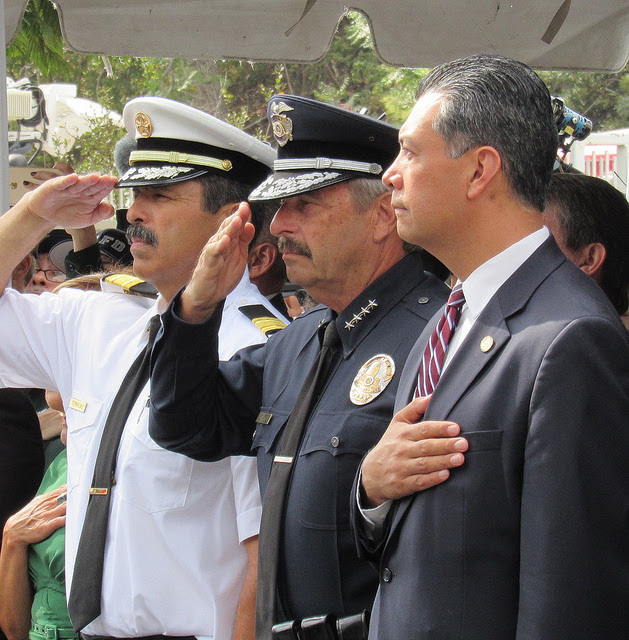 We are especially grateful to Fire Chief Ralph Terrazas and UFLAC IAFF Local 112 for their hospitality and support. 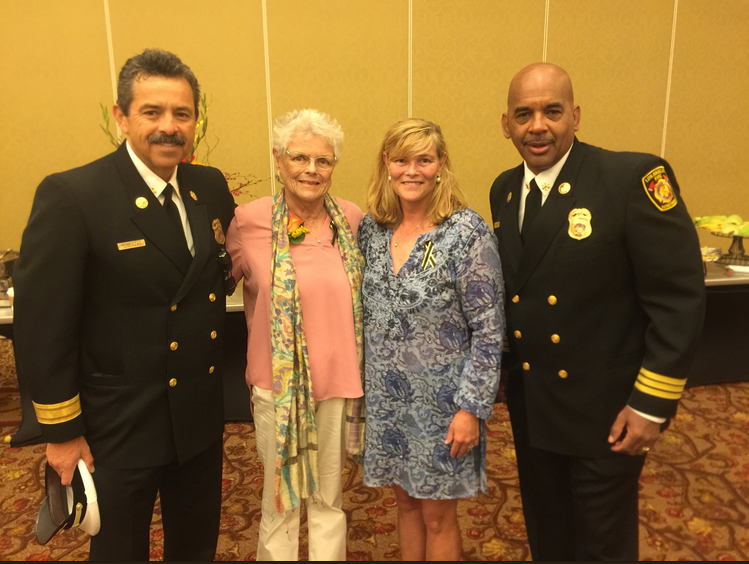 Fire Chief Ralph Terrazas with the mother and sister of FF/PM Wendy Cummings and Assistant Chief Armando Hogan. UFLAC Associate Membership Dues – Recently several Chief Officers received notices via U.S. Mail regarding associate membership dues for UFLAC. If you receive your dental plan or life insurance through UFLAC, then you must pay the associate dues as part of the administrative cost. Please contact UFLAC benefits at (213) 895-4006 if you have any questions. 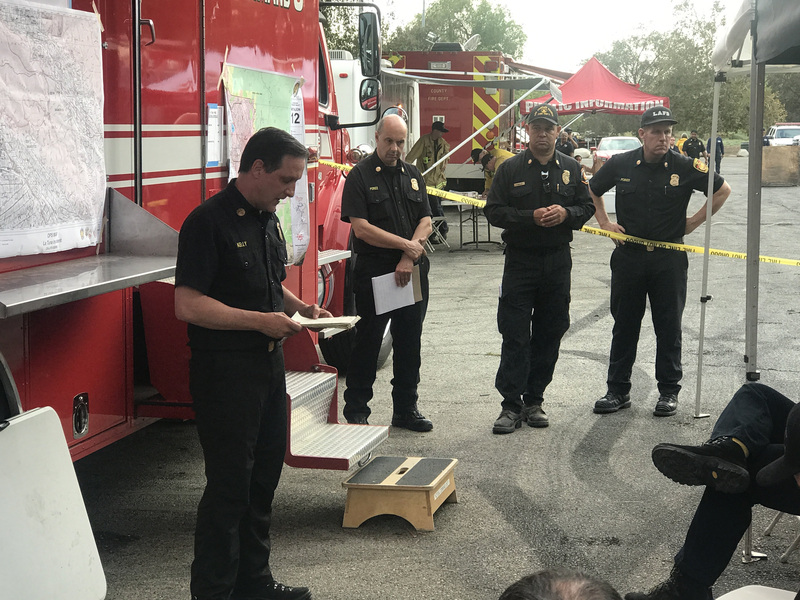 Castro’s Court – Handball Tournament – Please join the LAFD – COA – UFLAC and many others for the dedication of the handball court at Fire Station 82 for retired Chief Deputy of Emergency Operations Joe Castro. October 13, 2017 at 12:00. Please standby for more information. Contact Captain Chris Yokoyama at 562-833-7233 if you are interested in attending and also playing in the tournament. 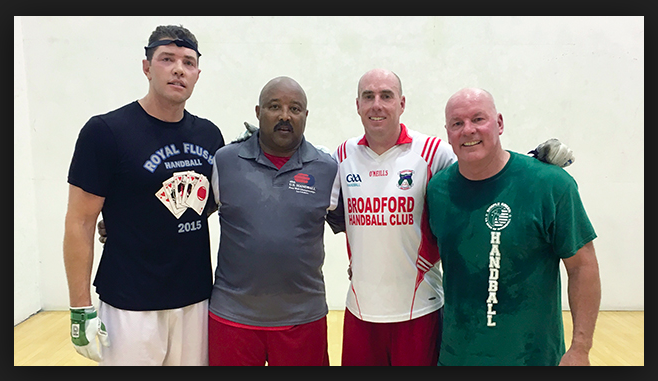 COA Website – Please visit the COA website for news and up to date information. Many of the information or answers to your questions can be found on our site. We also look to improve it everyday – so please send us your feedback and/or recommendations.